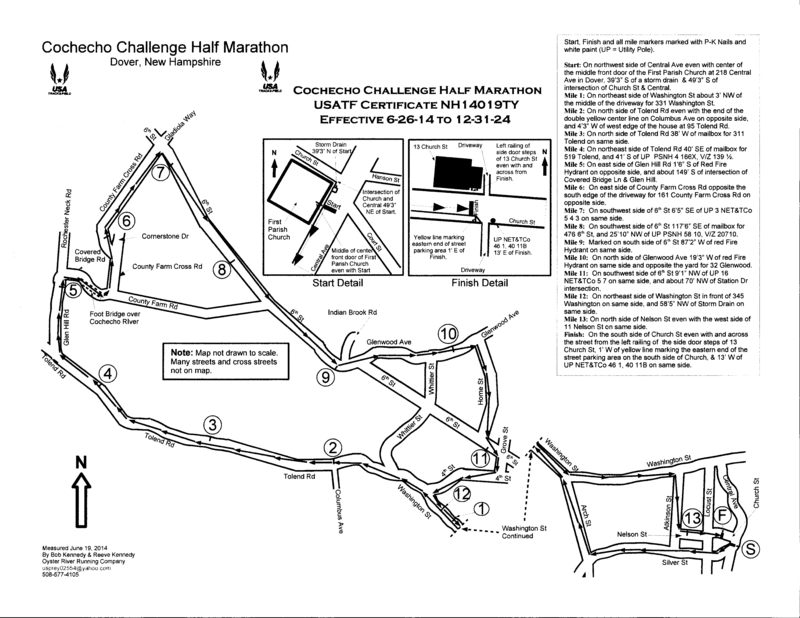 This is your opportunity to experience Dover’s only Half Marathon Road Race, the COCHECHO CHALLENGE. This challenging yet accessible, USA Track & Field Sanctioned Half Marathon course that begins at the historic First Parish Church in the heart of downtown Dover, NH. After leaving downtown, the course winds through beautiful, rural neighborhoods, crosses over the majestic Cochecho River and then returns to the downtown area for the final push to the finish line at the church. This is Seacoast, NH running at its finest.